Wow - gourmet taste at a great price. The best flavored Gummi Bears ever!! 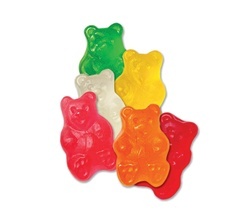 Soft and bursting with flavor, one taste will prove our Gummi's are the Best of the Best ! Who ever knew Gummi Bears could taste sooooo good!